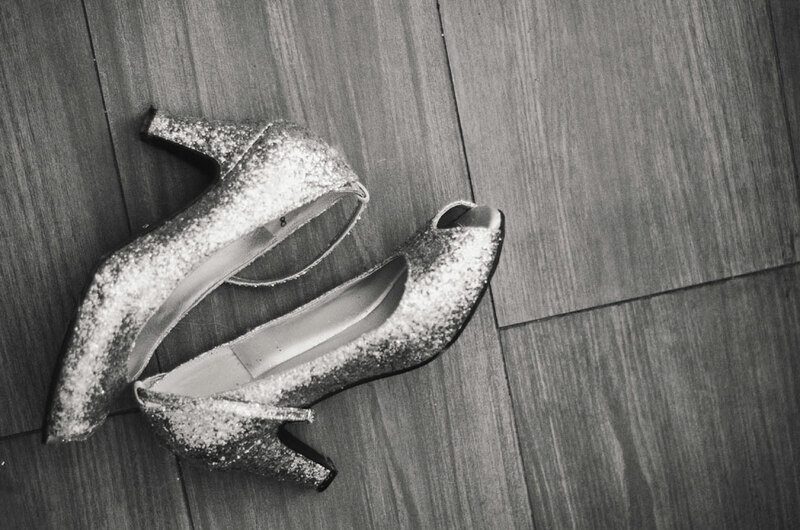 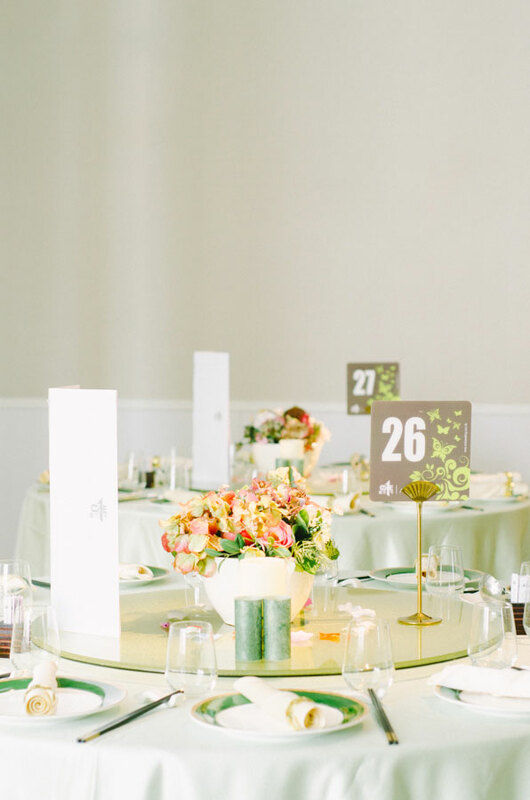 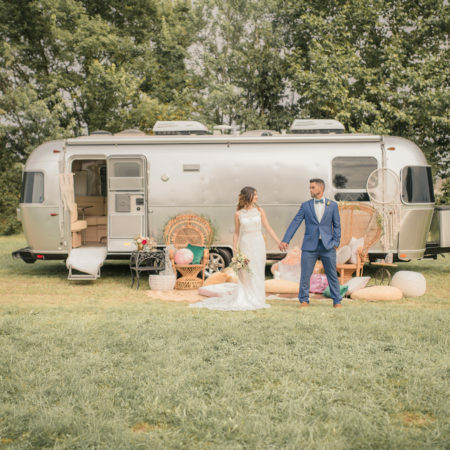 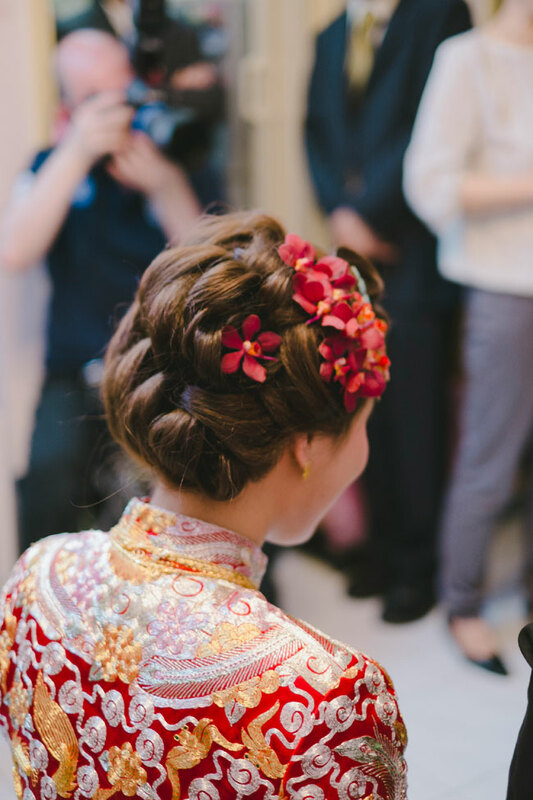 I love when the opportunity comes my way to put a spotlight on weddings from around the world, each celebrated in their own unique fashion. 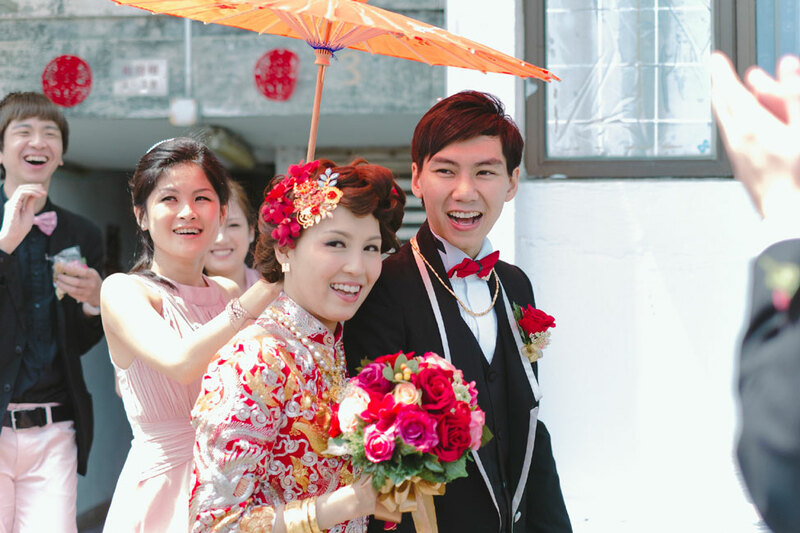 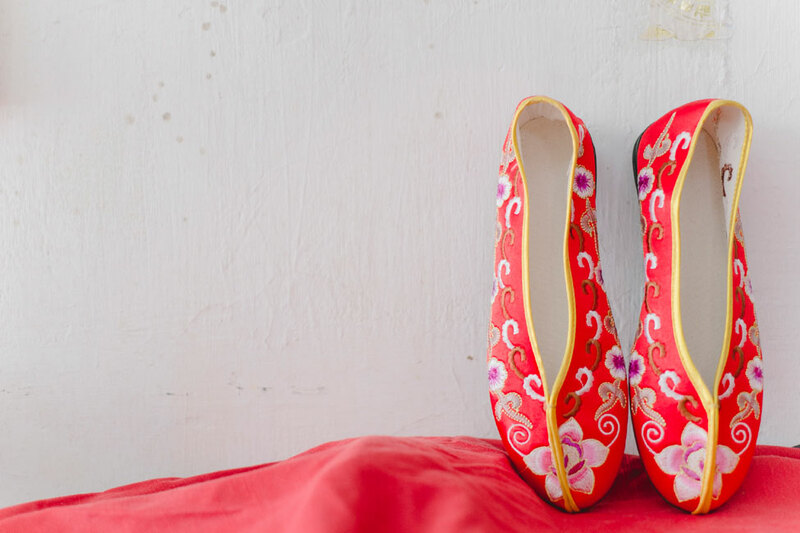 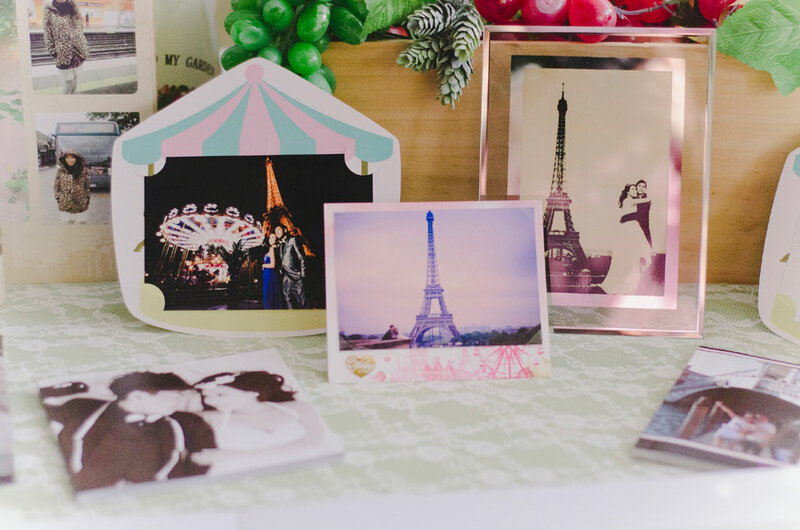 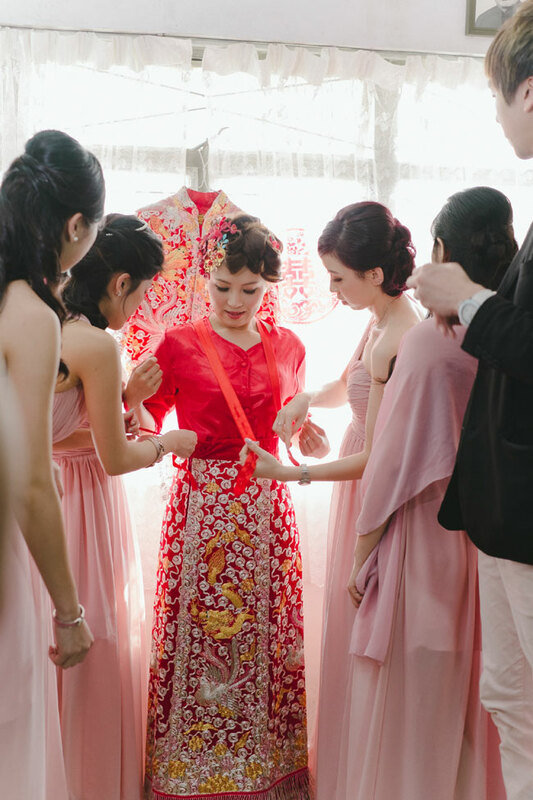 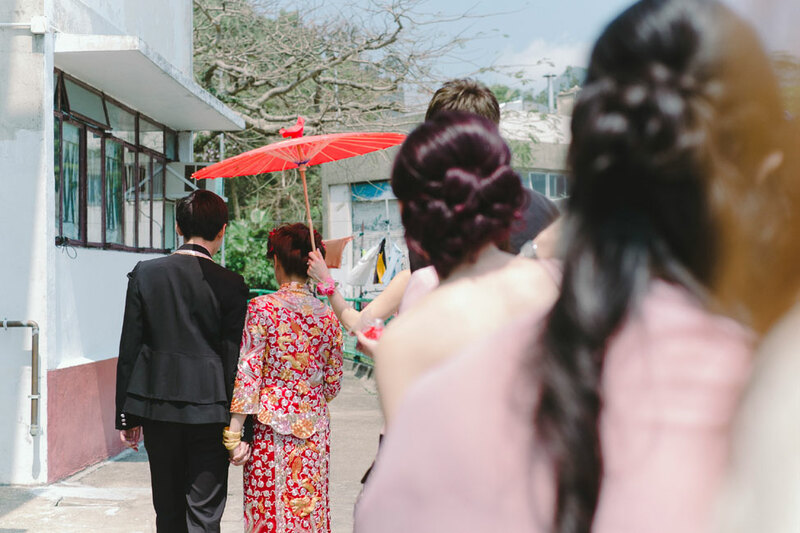 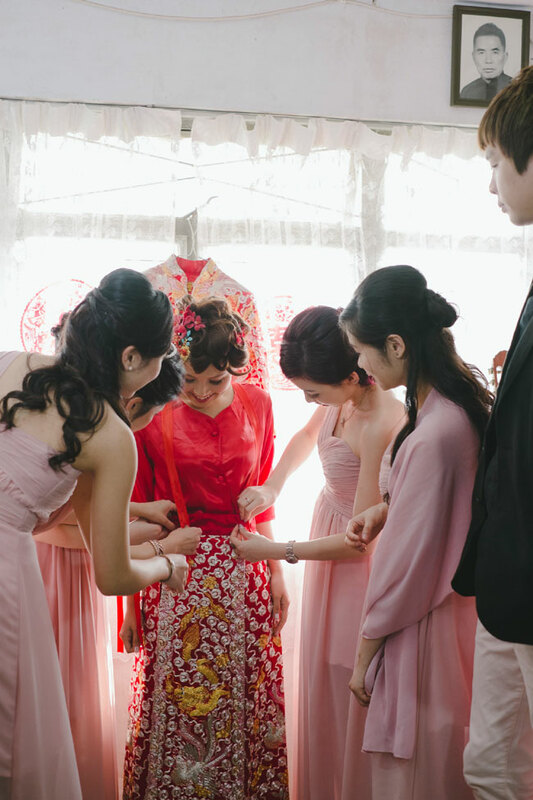 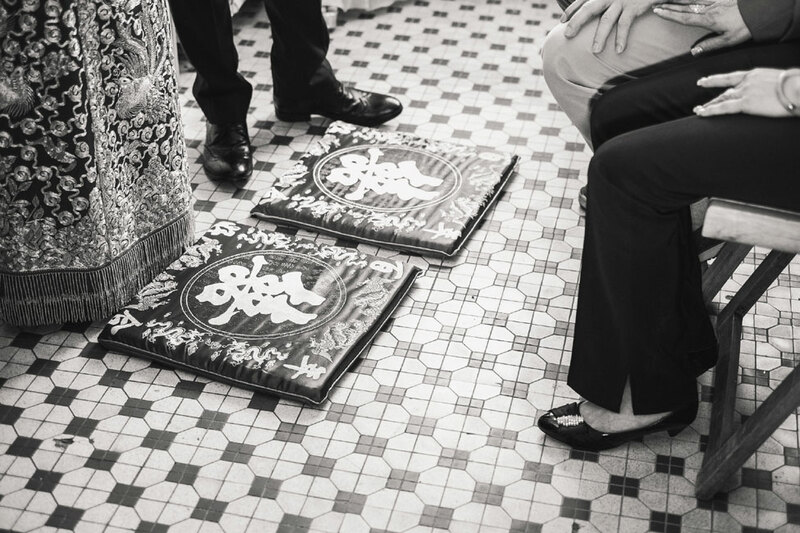 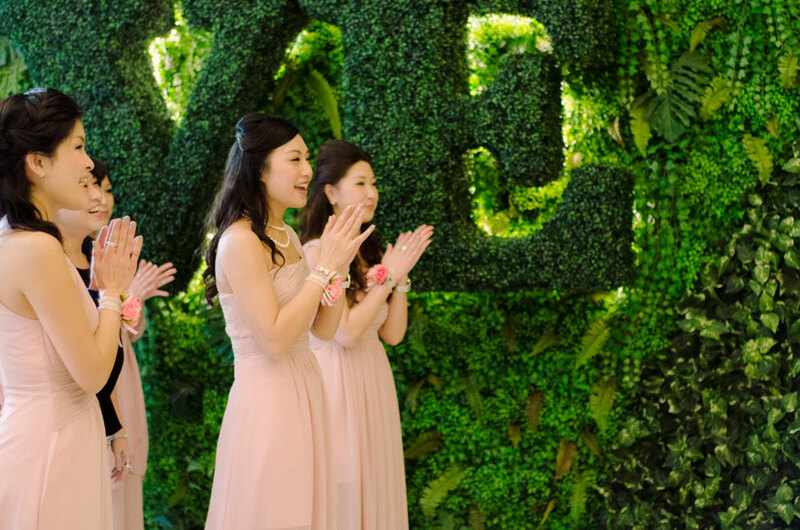 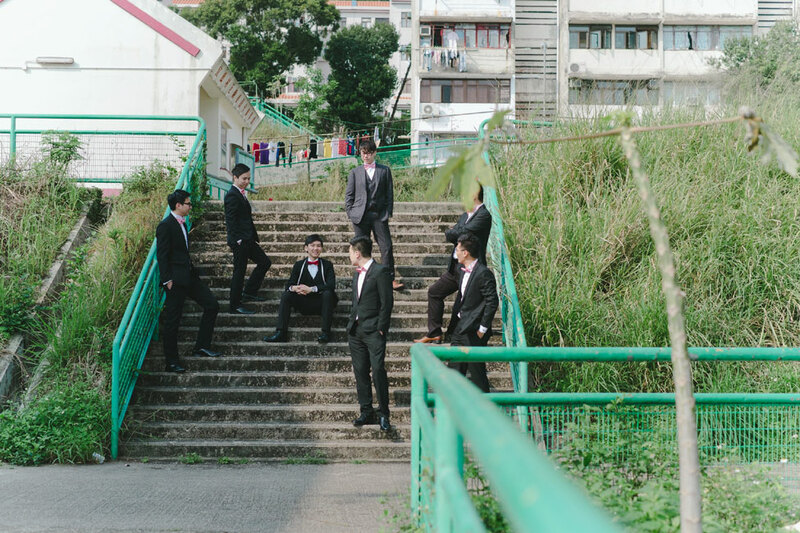 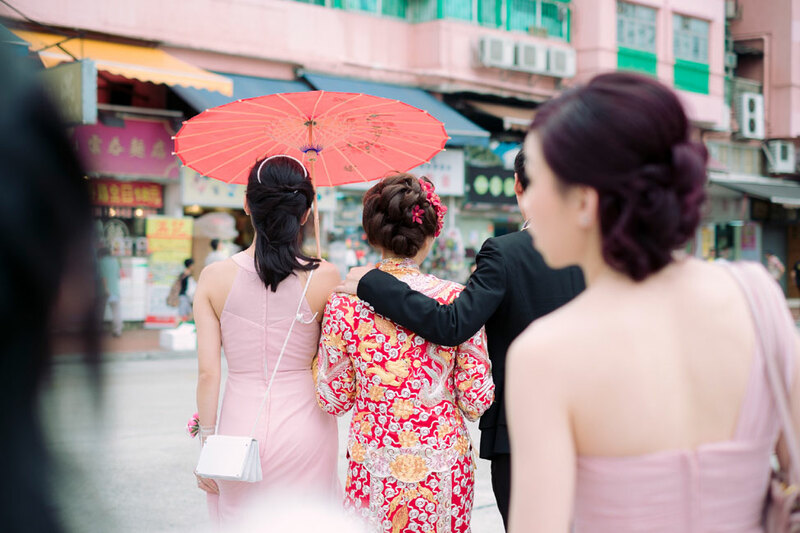 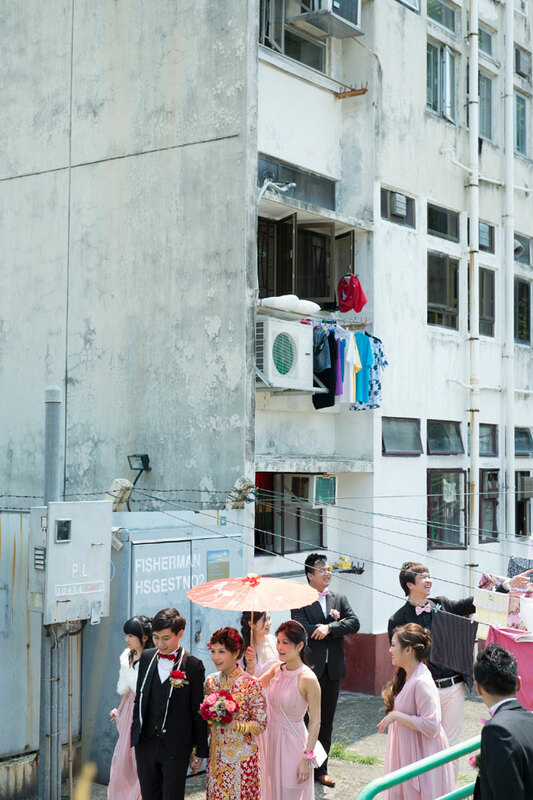 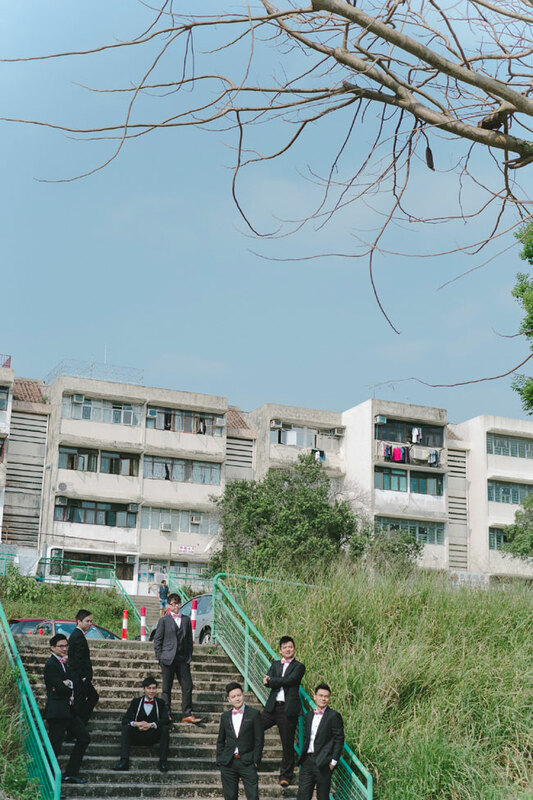 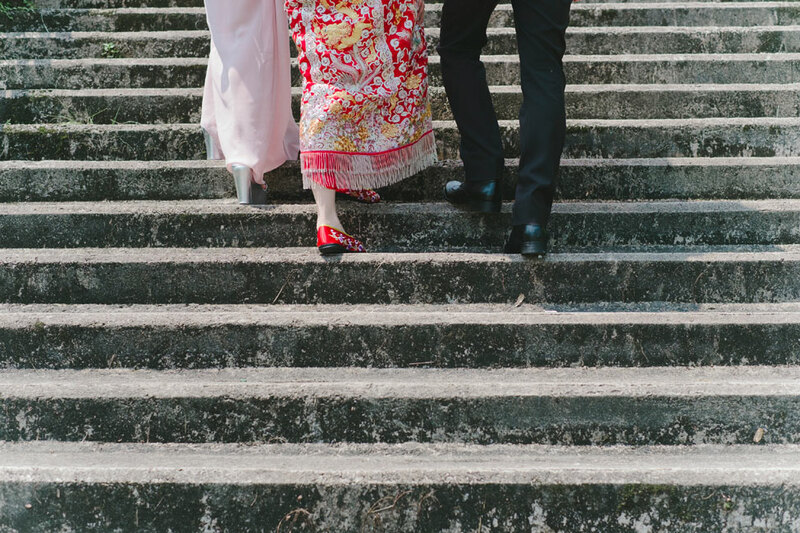 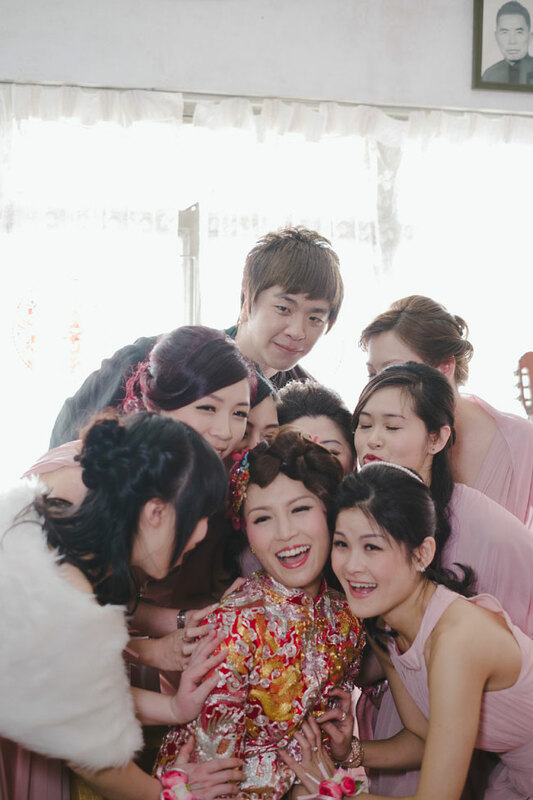 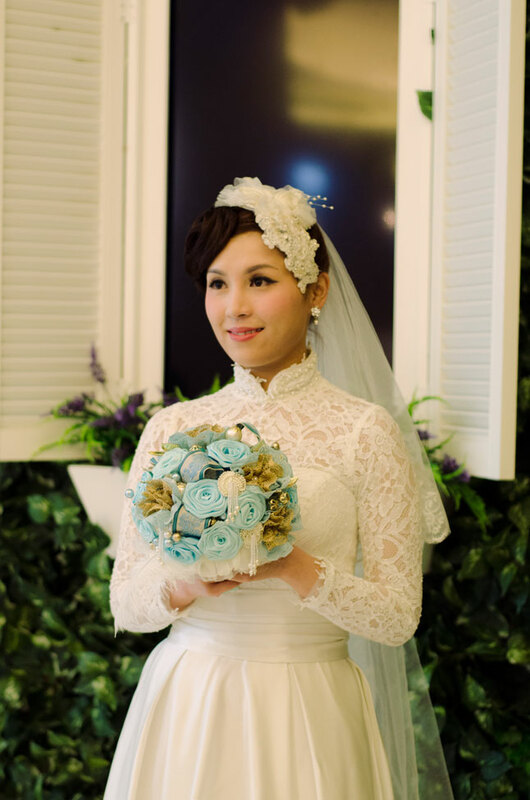 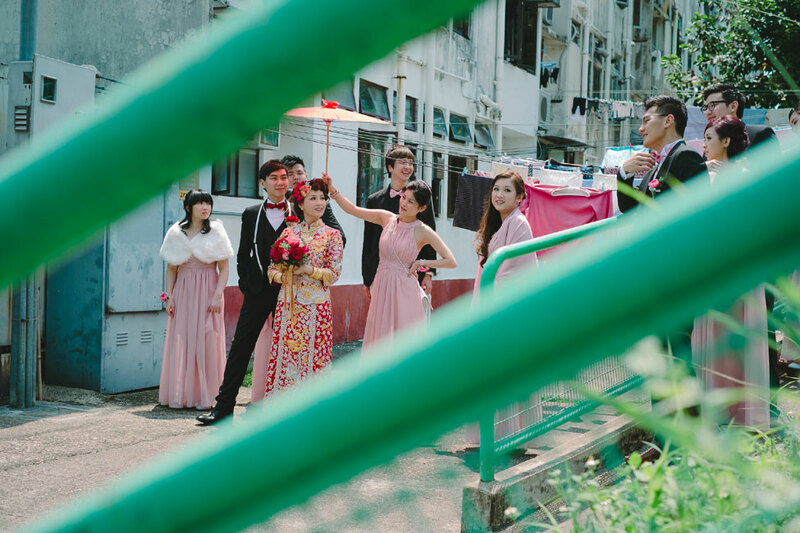 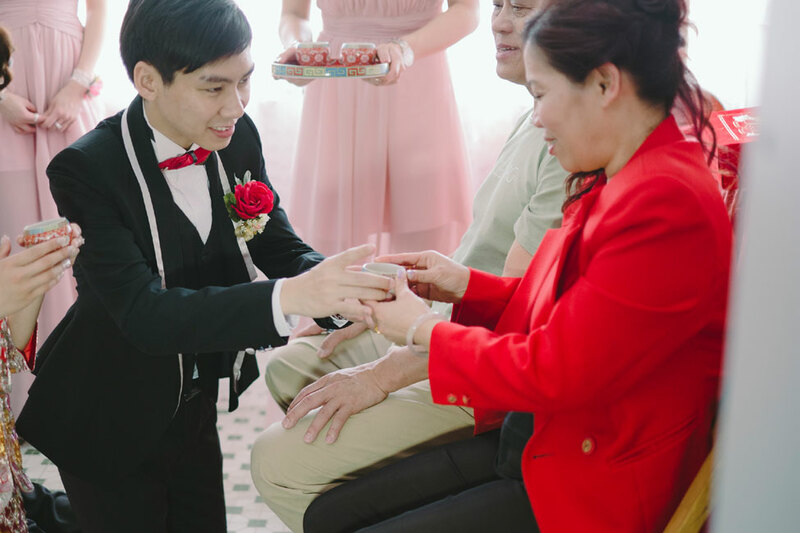 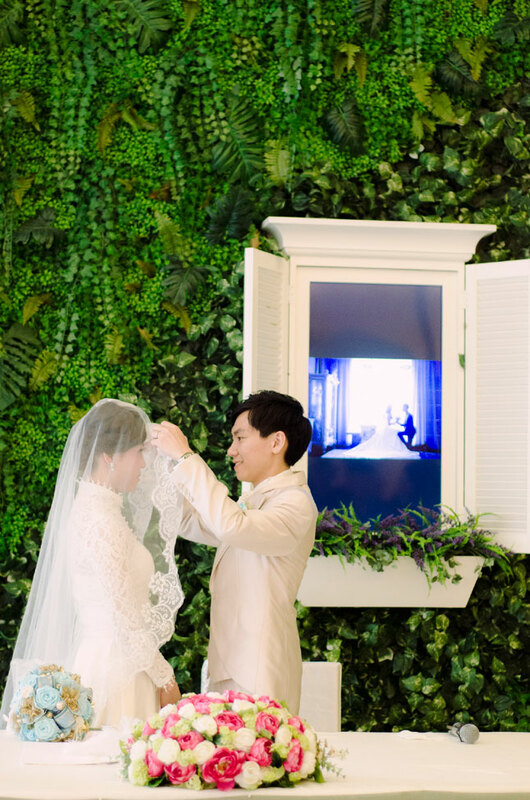 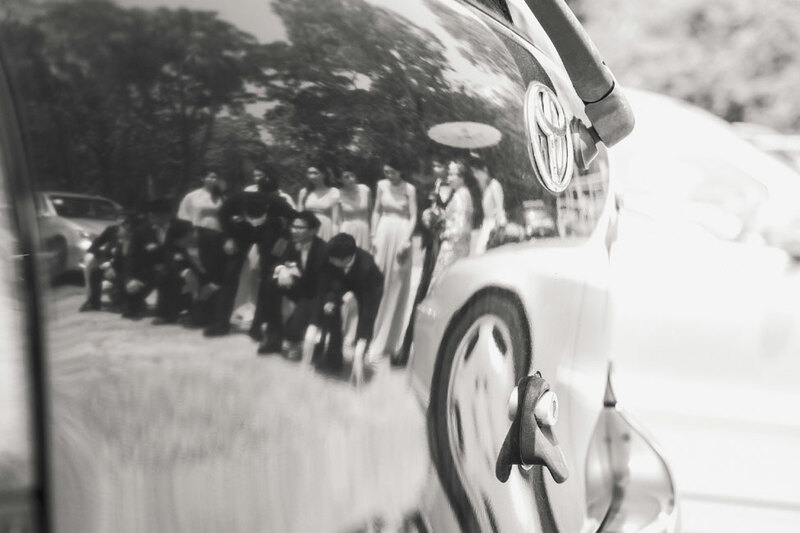 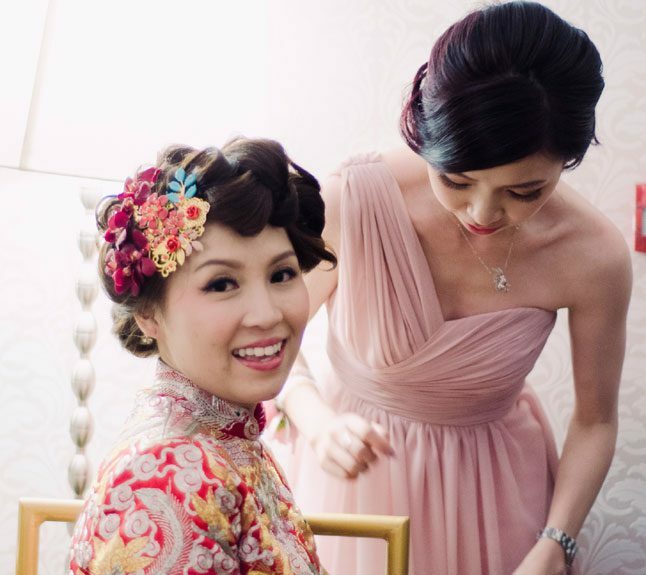 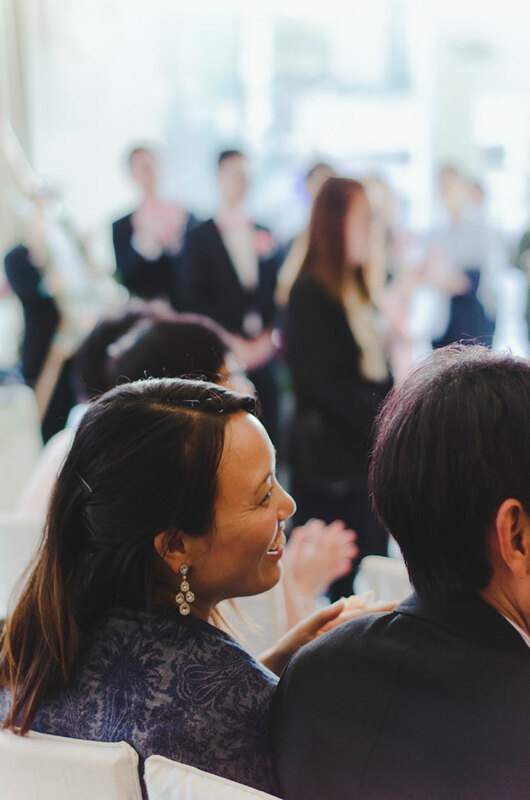 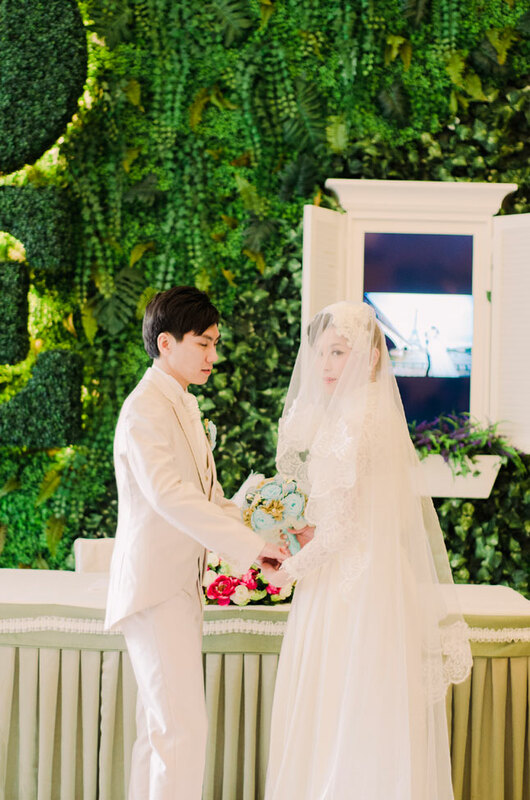 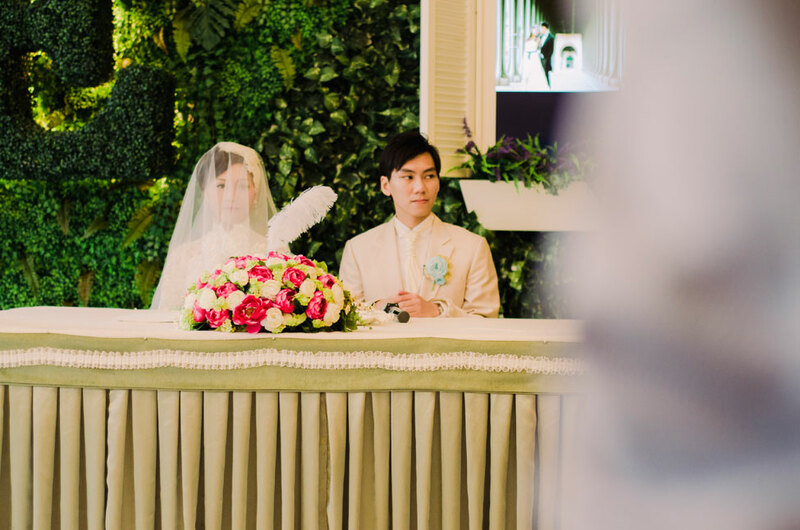 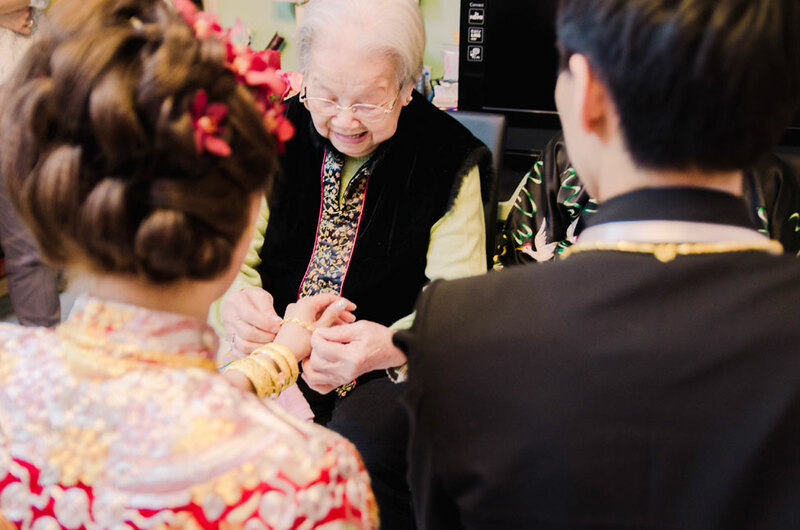 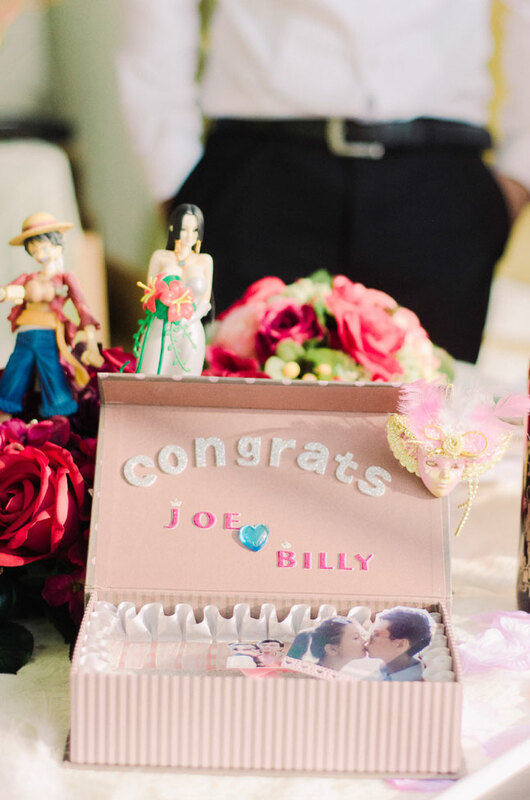 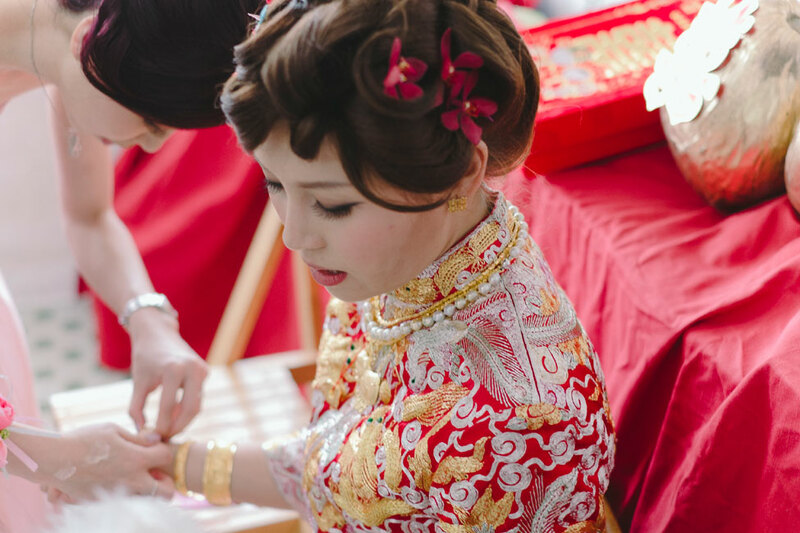 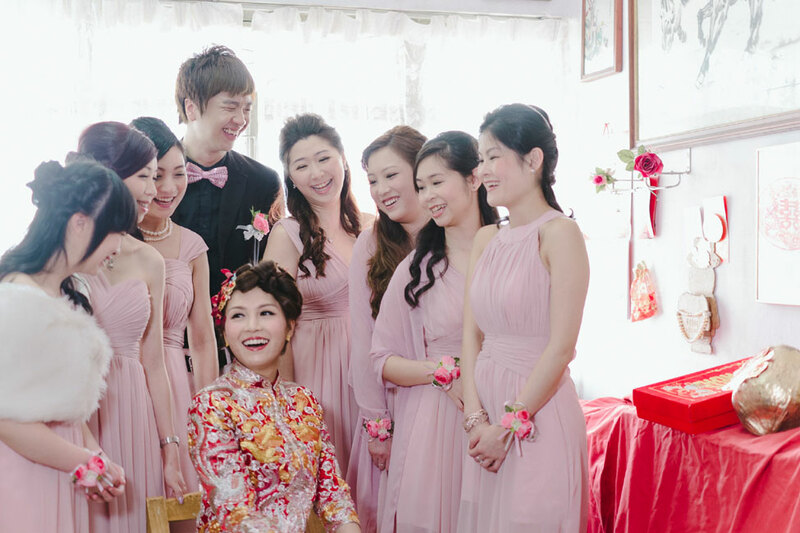 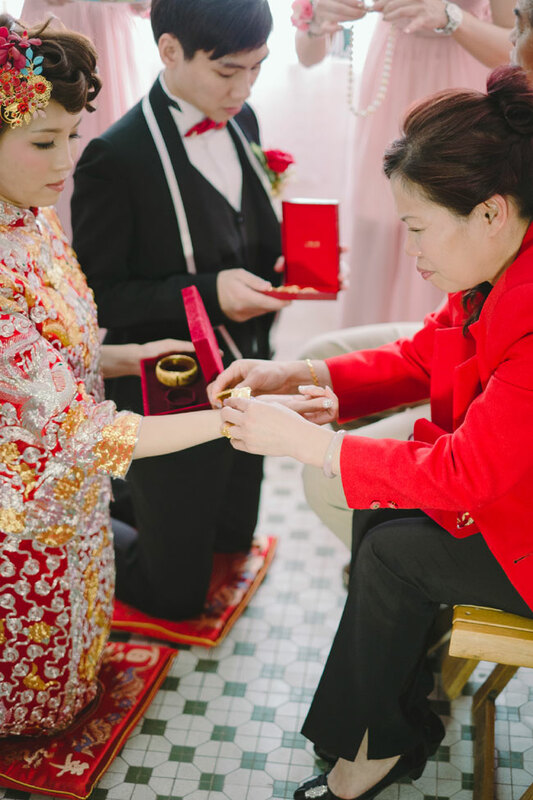 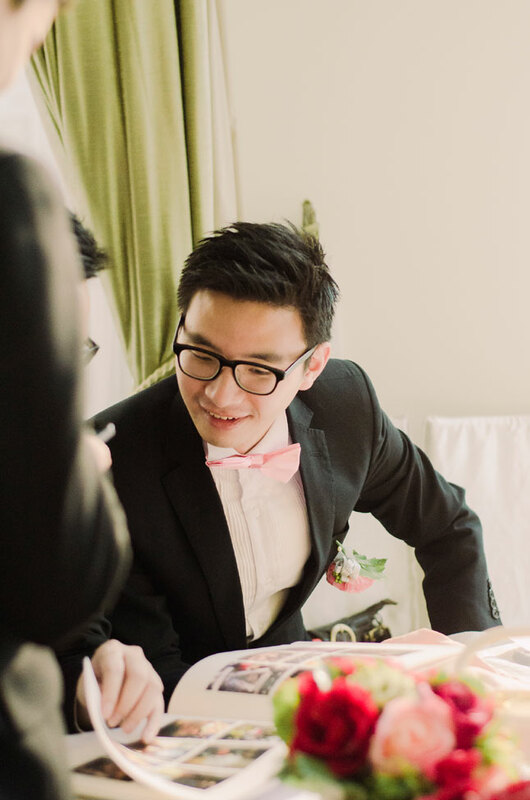 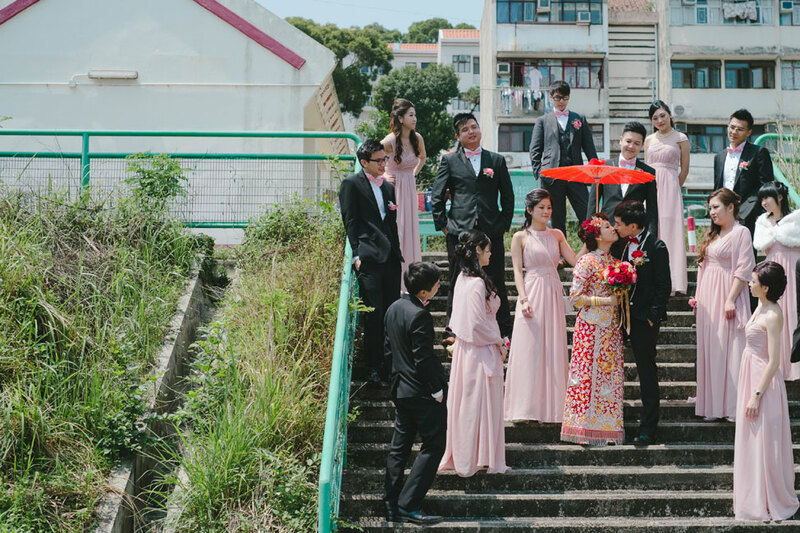 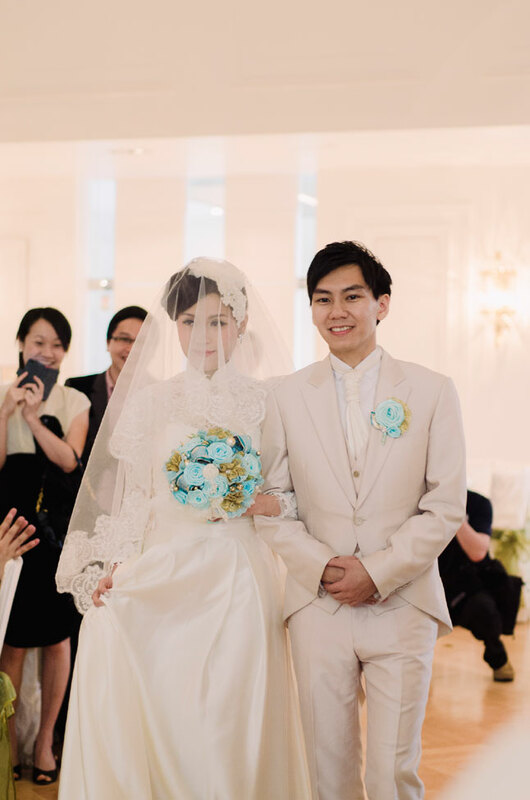 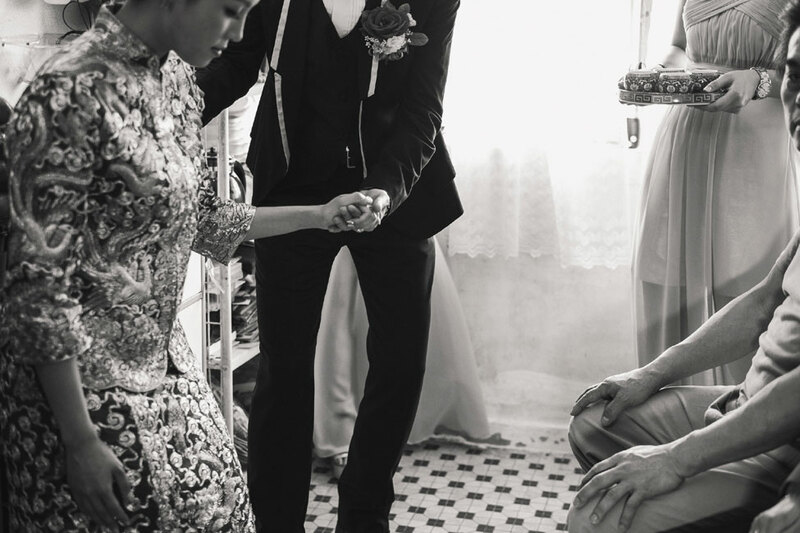 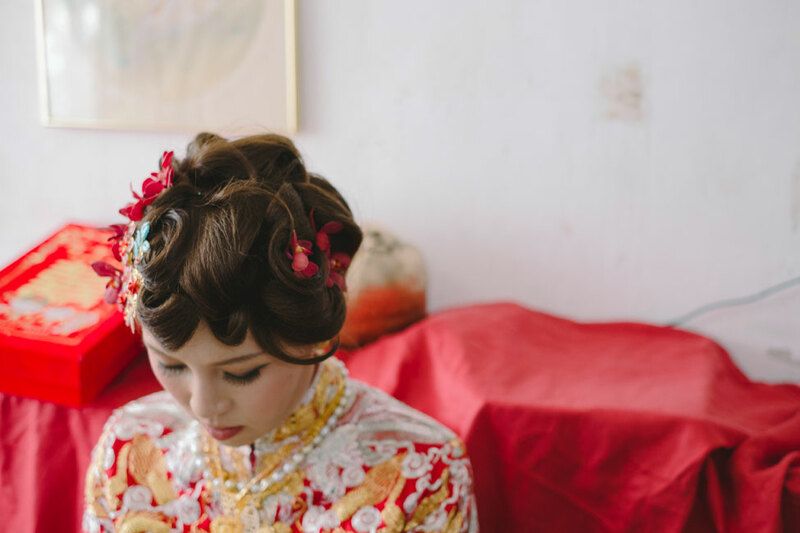 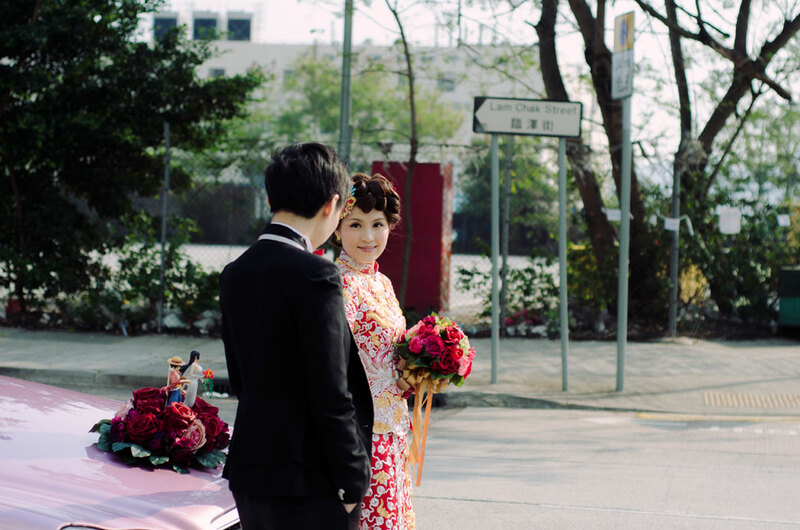 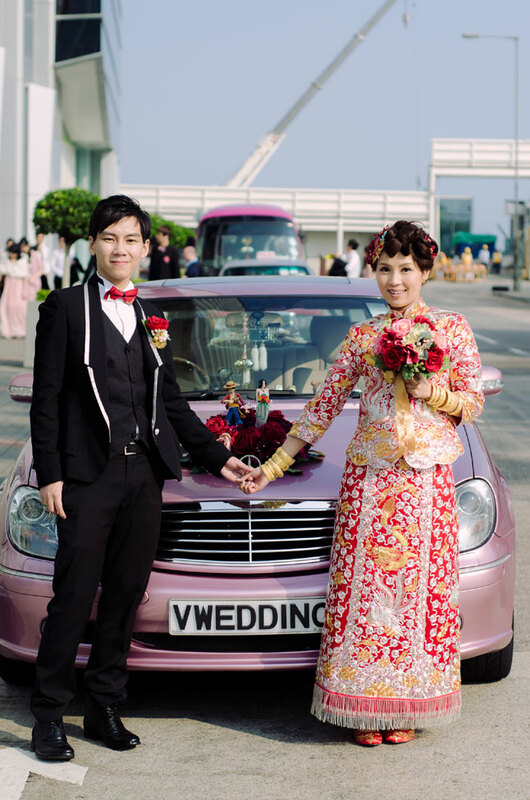 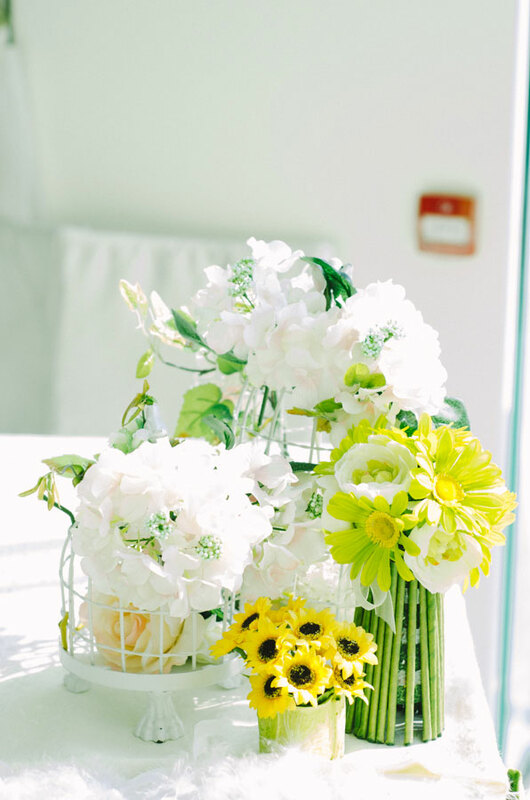 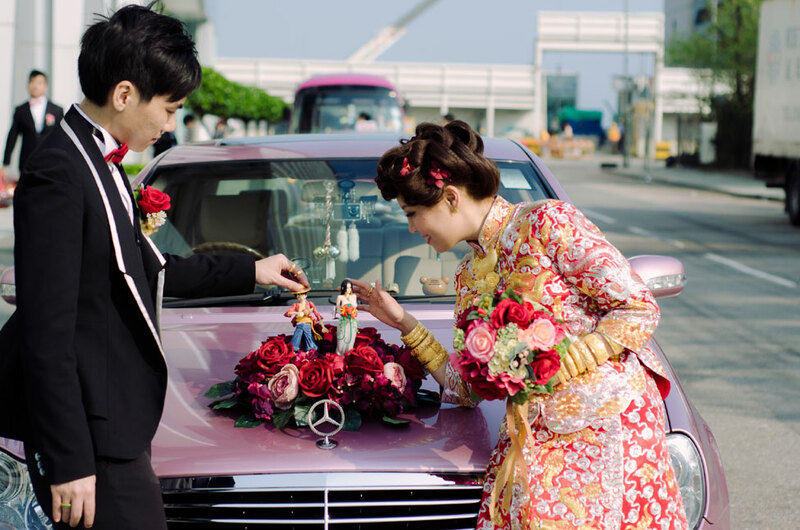 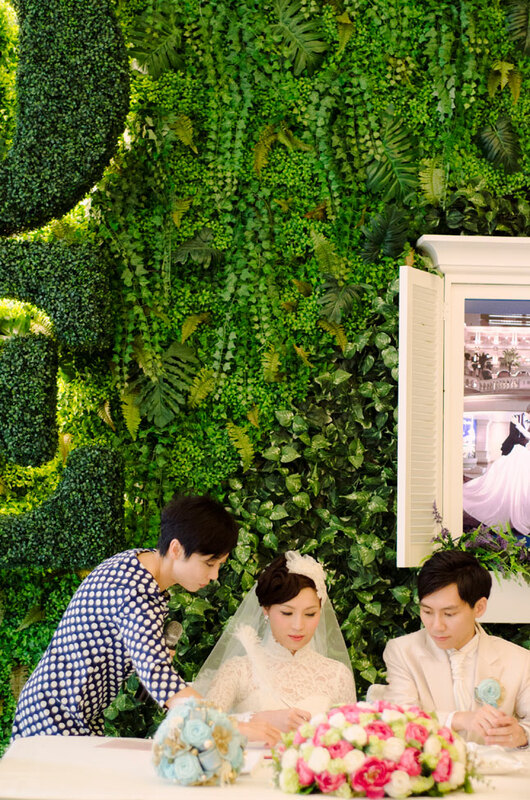 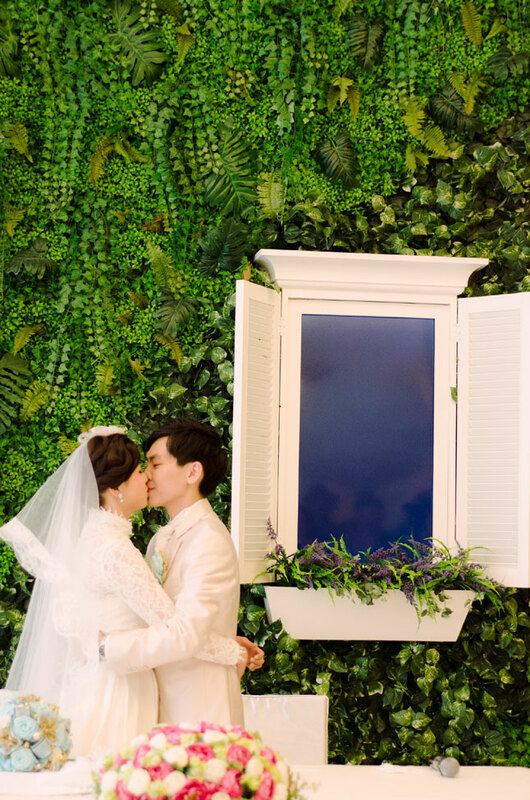 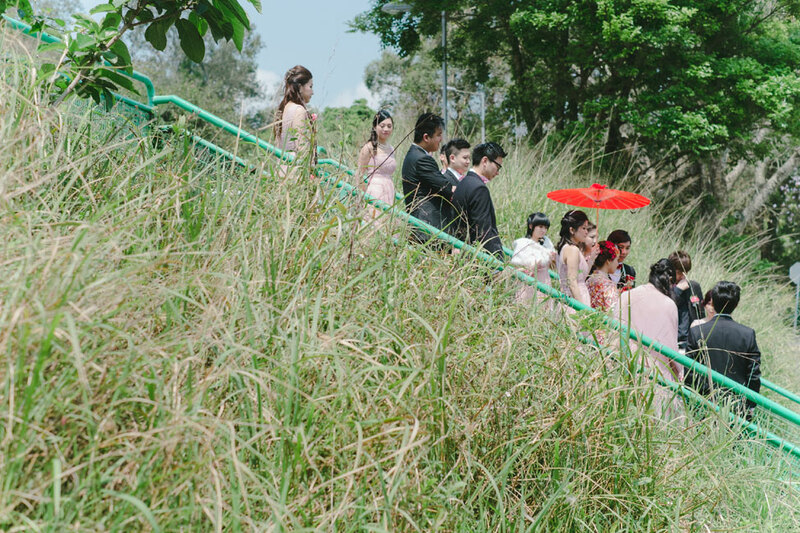 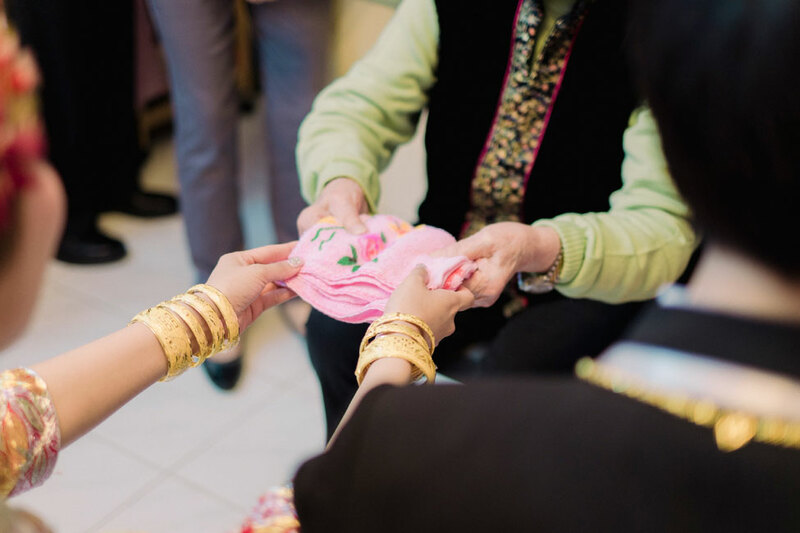 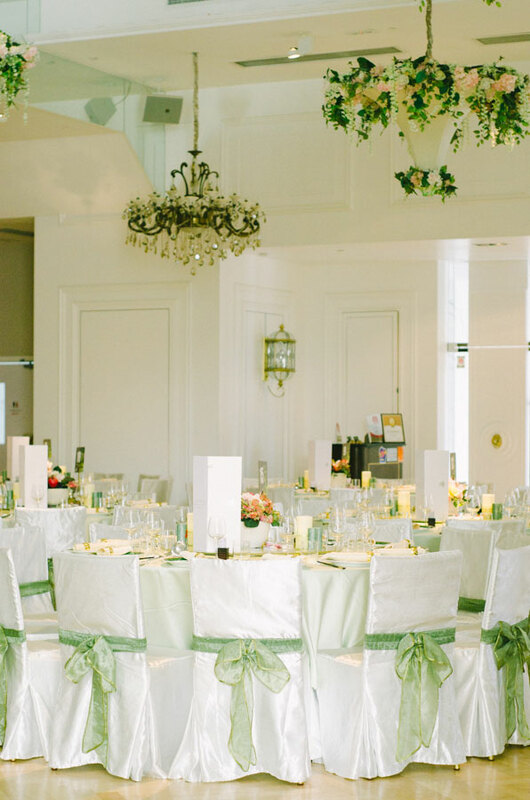 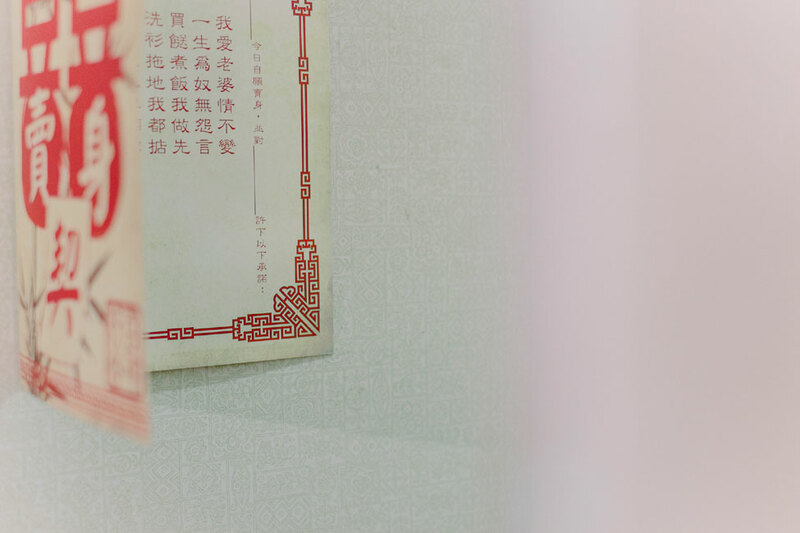 Such is the case with today’s wonderful wedding from Hong Kong wedding photographer Sophia Kwan Photography showcasing a mix of old world traditions with a dash of something new. 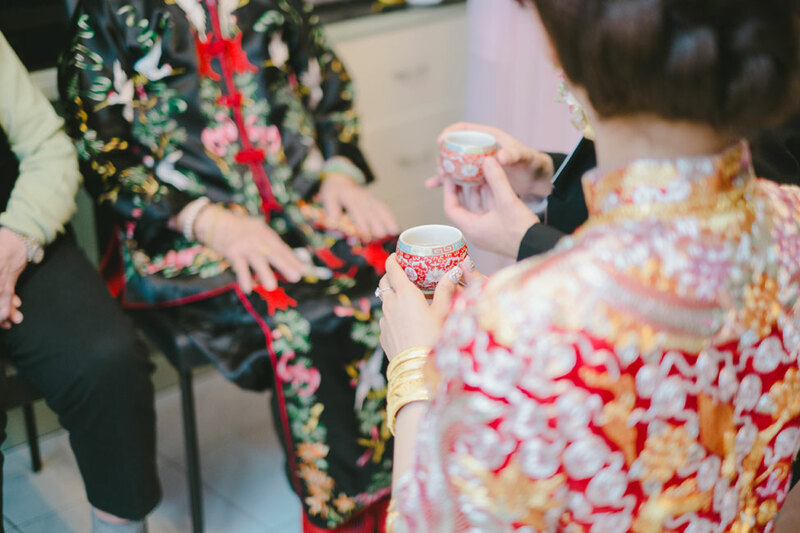 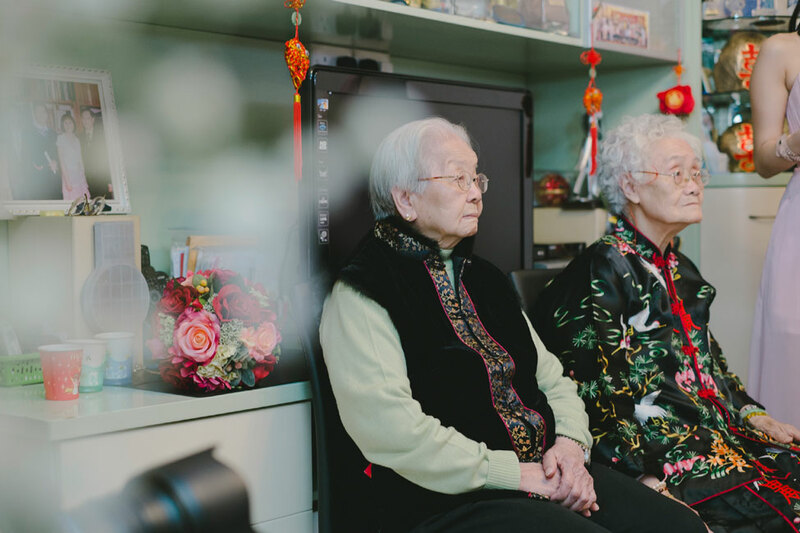 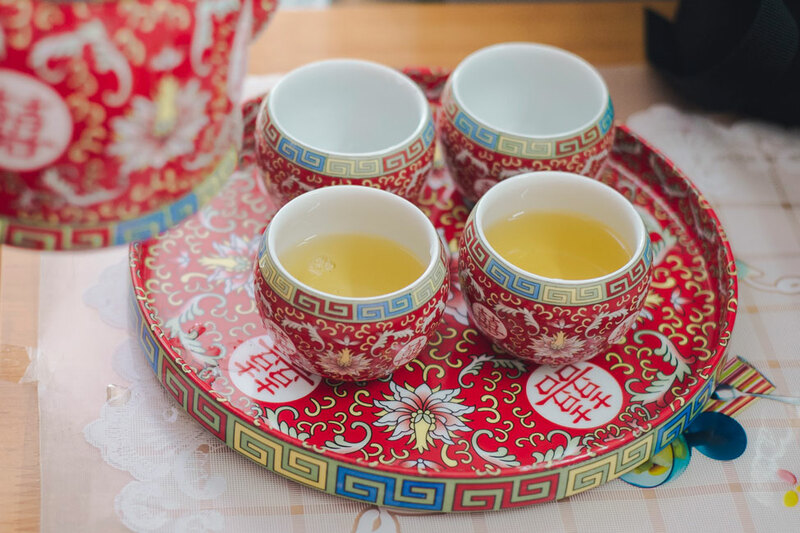 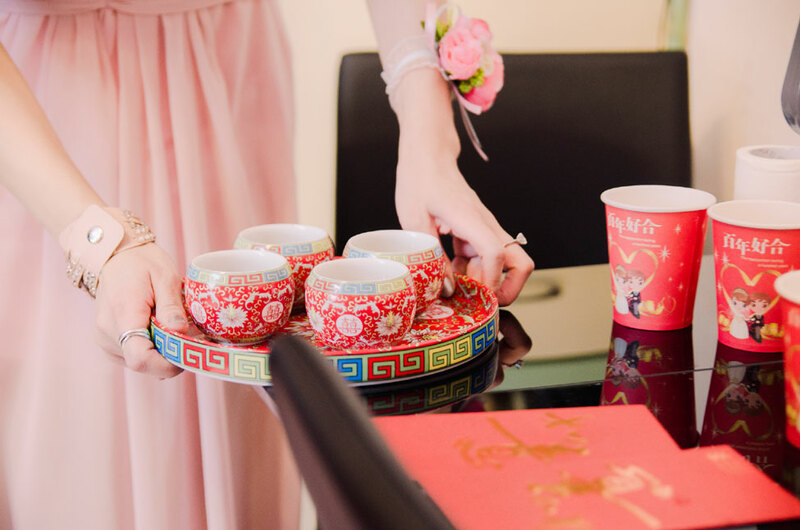 Joe & Billy started their day off honoring the ways of Chinese culture by sharing tea ceremonies with close family and friends travelling from place to place. 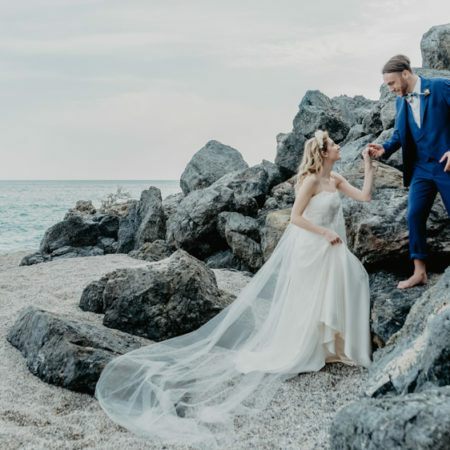 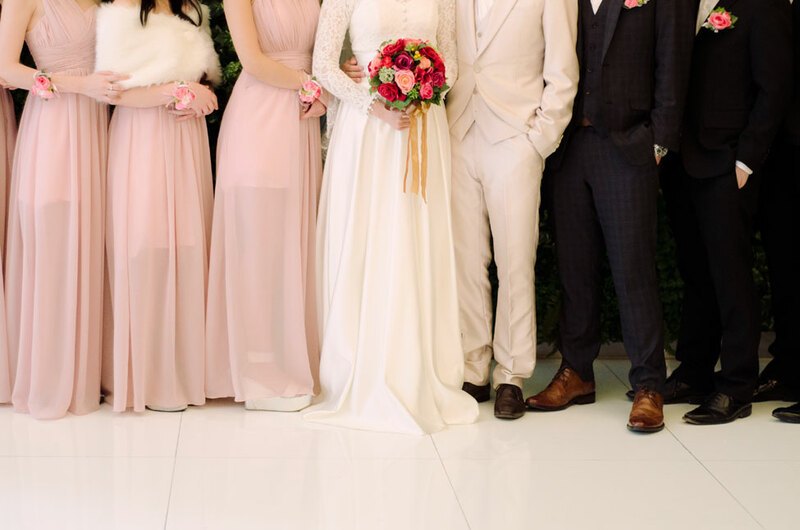 Joe took things one step further, donning a stunning vintage look which featured a gorgeous traditional gown complete with a knot pinned up do finished with fresh flowers. 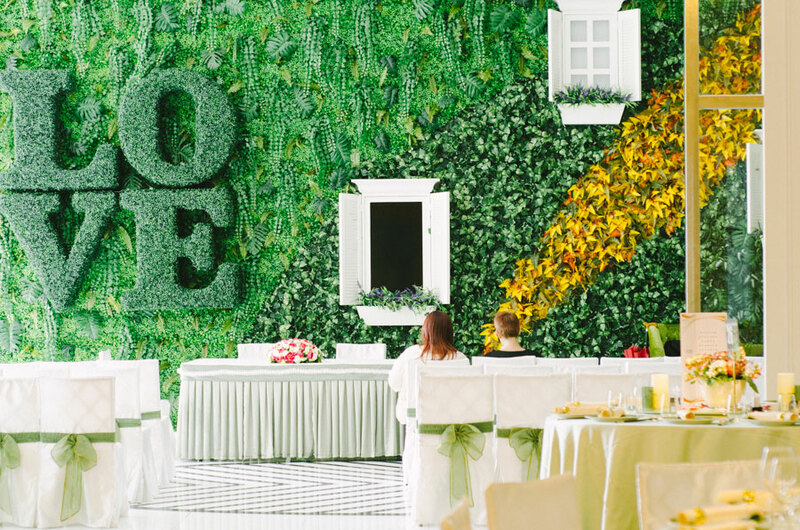 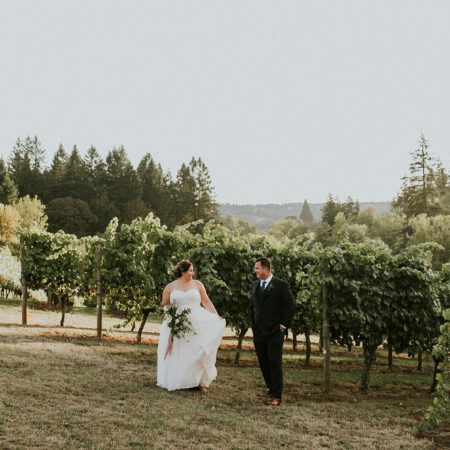 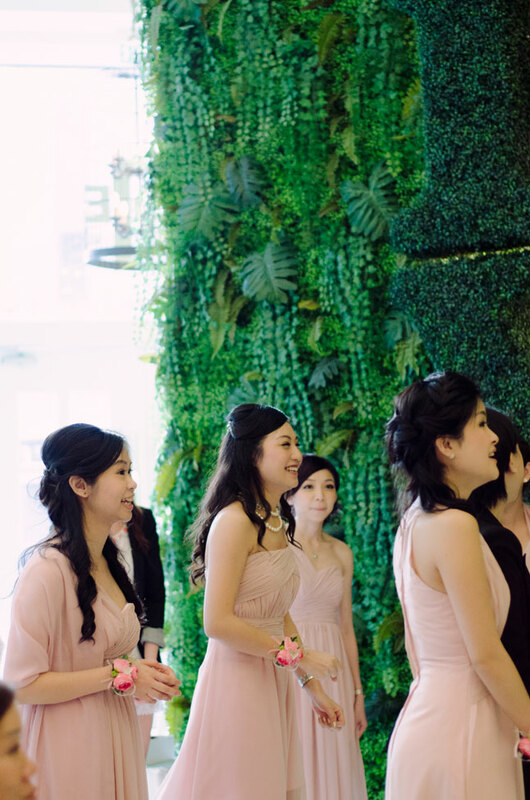 After the traditional aspects of the day were over, Joe switched to a lovely lace long sleeved wedding dress for their ceremony/reception at Club One which was set against the most amazing wall of mixed greens. 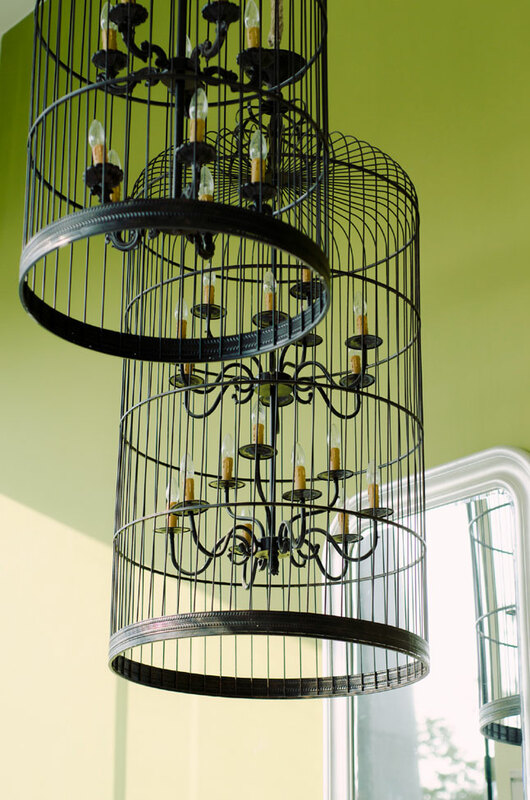 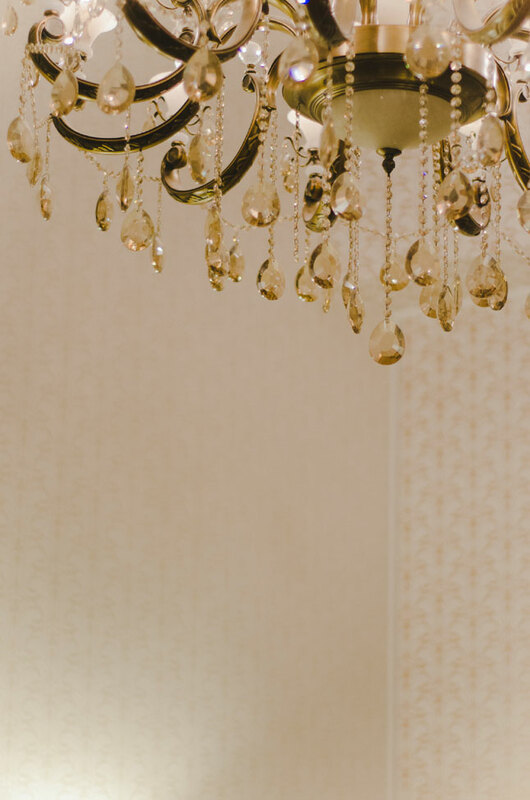 To finish the look of the room, birdcages & chandeliers of crystal were accented throughout, giving the most divine of secret garden feeling! 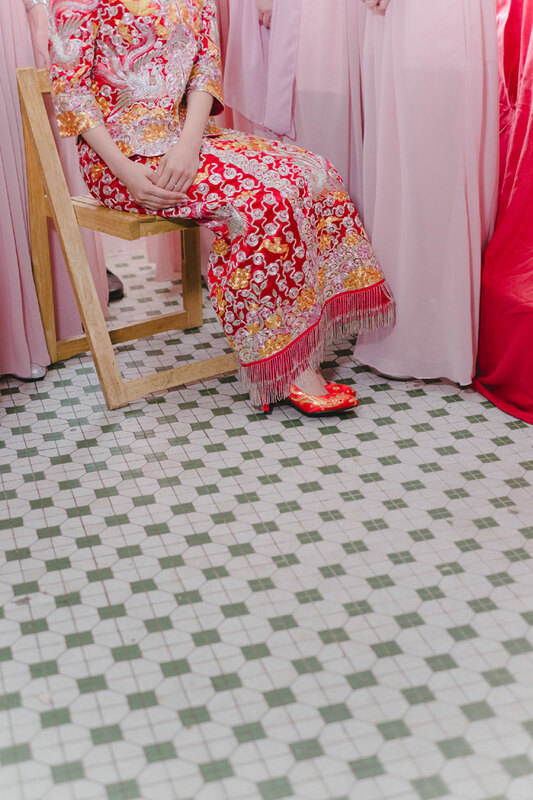 The unique blend of something so old and traditional mixed with that which is more modern makes for a beautiful sneak peek into a whole other world!